At the top of every post are two links that let you reuse the content we’ve already prepared to create instant emails and social media posts. Here’s how they work. Clip for Email provides you with copied text and images (or HTML code) for pasting into your own email client. This creates a ready-to-send email based on the blog article you chose. 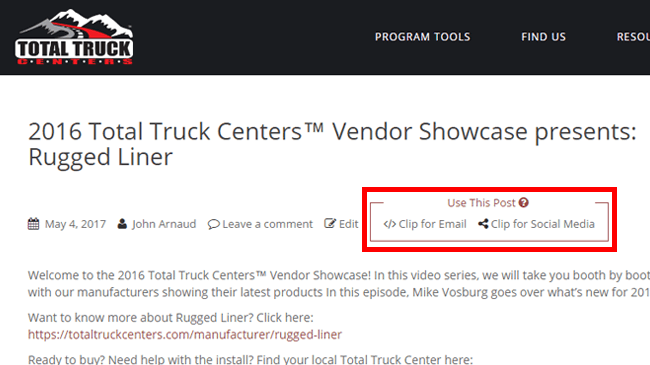 Clip for Social Media creates a short link you can paste into your Facebook or Twitter page for a post you can share with your followers. Again, this post is based on the blog article you chose. No research. No writing. No hunting for photos. If you can copy and paste, you can send an email or make a social media post in no time. Best of all, this tool is absolutely FREE! Create emails and social media posts with just a few clicks. Find content quickly by searching our archive. No research, writing, or finding photos. Saves you time: just copy, paste, and post! Search Our Archive for the Perfect Post!